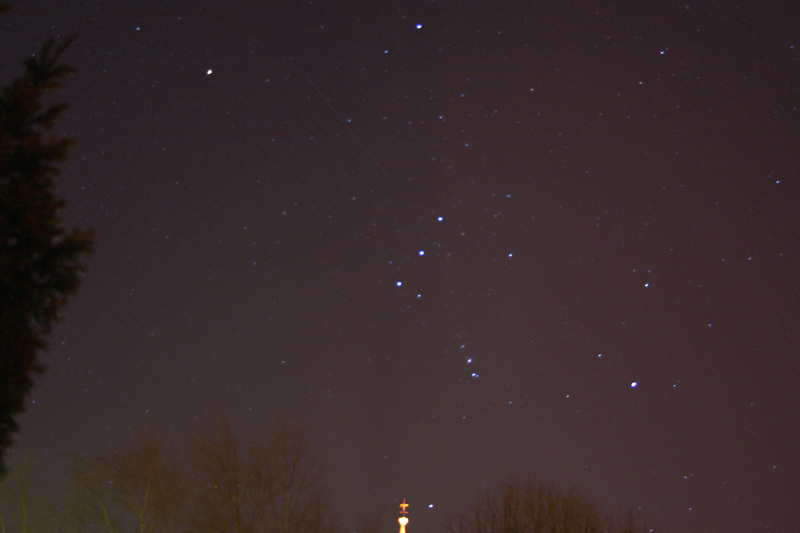 One of my first attempts to do a little bit of astrophotography with the Canon EOS 400D. This image is the result of a simple point and shoot test. If you look carefully it seems I managed to catch a meteor.